Summer Khaki Belfast Linen Short Cut 34x55 [9999.4773] - $66.02 : Yarn Tree, Your wholesale source for cross stitch supplies. 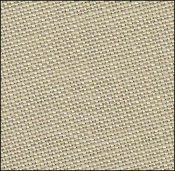 Shopping Cart Home :: FABRICS for Cross Stitch :: Linen 32ct :: 32ct Linen Short Cuts :: Summer Khaki Belfast Linen Short Cut 34"x55"
Summer Khaki Belfast Linen Short Cut 34"x55"
Belfast Linen 32 count fabric from Zweigart. SHORT CUT - ONLY ONE PIECE AVAILABLE OF THIS SIZE. 100% linen. Country Mocha Aida 14ct Short Cut 12.5"x43"